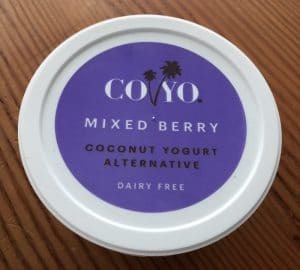 With CoYo not only available but currently on sale at our local co-op, it’s been the perfect reason to try yet another flavor: mixed berry. Like the mango flavor, this one is also made with fruit puree, which needs to be stirred in. 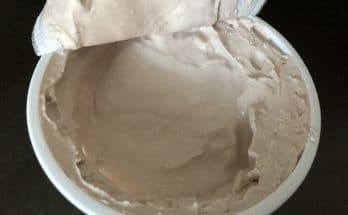 Unlike the mango flavor, the fruit flavors emerge more strongly with this variety, though you will not forget you’re eating coconut. 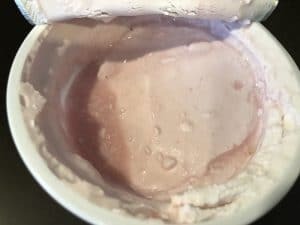 This one is also a little more tart — it’s made with blackberries, blueberries, strawberries and raspberries — and has all the lovely, rich creaminess of the other CoYo varieties. 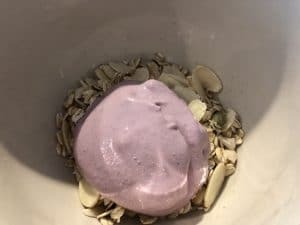 Like the mango flavor, mixed berry also has more (natural) sugar, at 12 grams per serving, but if you like a bit of zing with your yogurt, this one is an excellent choice.